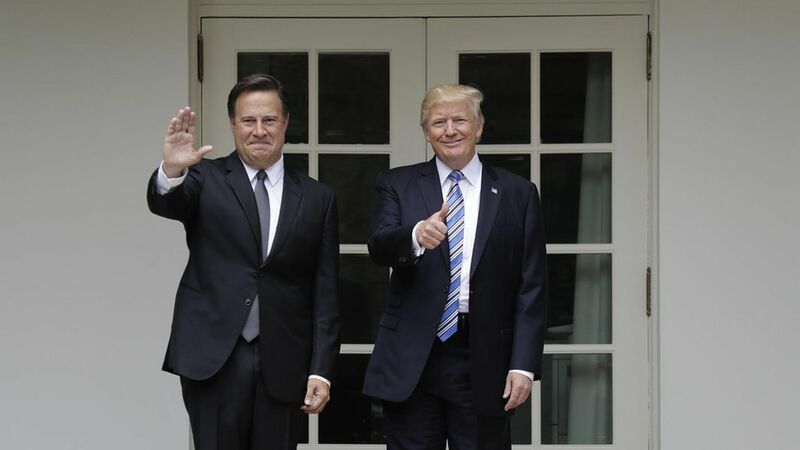 President Trump welcomed Panama's President Juan Carlos Varela to the Oval Office Monday. What Trump said: "The Panama Canal is doing quite well. I think we did a good job building it, right?" Trump added his friendship with Varela is "very good" and that they are "developing new things to do" in their talks today. What Trump didn't say: Trump did not answer questions shouted at him about whether he is under investigation.